The page provides explanations to a list of words (in alphabetical order), those are related to this site and are not so commonly used in normal literature. The aim is not to provide a quotable dictionary but to assist the reader in an easier understanding. These words are mentioned in one of the pages. Additionally, in the individual pages, direct links to bubble-info-boxes containing the explanations are provided. Indian name for a hermitage, monastic community, or other place of religious significance. Mostly used for a place where a sadhak (saint) lives and either it is named after the name of the saint or after the name of the place.-derived from Sanskrit asrama 'hermitage'. The word is accepted in New English Oxford Dictionary. 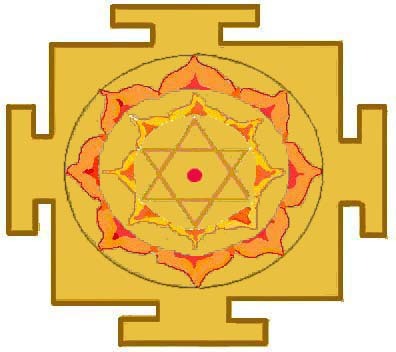 The picture above is of "Bagalamukhi-yantra" and the Mantra is "Bagalamukhi-mantra". Goddess "Bagalamukhi" is often worshipped to win over foes and for victory in lawsuits. Another name for Bagalamukhi is "Peetambari" as her favorite color is Yellow (golden yellow). The picture above is of "Bhubaneswari-yantra" and the Mantra is "Bhubaneswari-mantra".The word "Bhubaneswari" means- the Goddess of the Universe. Having an universal command, the Goddess is able to bestow any of her 64 Kalaas (divine qualities) upon the devotee. The present age is approaching the end of Kali yuga. It is widely believed in the Hindu mythology that towards the end of Kali yuga, Lord Vishnu (Lord Jagannaath is a form of Lord Vishnu) will appear as Kalki Avataar to save the saints (good) and destroy the sinners (evil). This will happen at a time when the Sin will be at it's peak, i.e. at the worst time of this Kali yuga. As he will come to destroy the Kalanka (= blemishes of and on the humanity), he is called Kalki avataar. Indian (Bharat) expression for the "eternal law of the cosmos", "inherent property in the nature of the things". -Origin Sanskrit, literally 'decree, custom, or property of something'. From spiritual point of view it means - characteristics of truth, honesty, and justice - Also it is often used in the sense of "religion", e.g. Christian religion, Hindu religion (dharma) etc. [The word is accepted in New English Oxford Dictionary]. Mahapurusa Achyuta is believed to be born at the will of Shri Jagannath (Visnu), with the inherent subtle power of Shri Garuda. He was found by his father, in dreams, near the Garuda Khamba (pillar), at the front of the Jagannath Temple. Being a power of Visnu, and one of the five souls of Visnu, he easily acquired all the powers (siddhis) of Garuda after sometime, e.g. the power to see the future. He is a saviour of the devotees and extremely kind and devotee-concerned. See "Birth of Shri Achyuta" page for more details and "Taamrapothi" page for his sadhana and the manifested power to see the events in the three time-zones. Guru is often used for a Hindu spiritual teacher or Guide. Also the word is used for each of the ten first leaders of the Sikh religion. The word Guru comes from Sanskrit guru 'weighty, grave' (compare with Latin gravis). It means "with weightage (a big importance)". Also it is often (correctly from spiritual point-of-view) interpreted as being derived from two root words Gu (meaning darkness), and ru (dispeller or remover). A real Guru (sad-Guru) is an awakened human who transmits higher consciousness to the disciples and devotees - to take them from an ordinary path to the path-of-truth. An aspirant who is accepted by a Guru and who is considered to be worthy to be initiated is called shisya (disciple). Guru saakhsaat Parambrahma, tasmayi Shri Gurave Namoh. When we offer respects to the guru, we are offering respects to God. In Baba Buddhanath Das's words, the Supreme-God becomes invisible in the living world and makes the Guru visible. Hence, for realizing God's mercy, it is required that we learn to offer respects to God through God's representative. The origin is from Sanskrit. [The word is introduced in New English Oxford Dictionary]. Karma of a person means the sum of that individual person's actions in this and previous states of existence, viewed as deciding their fate in future existences. informal: destiny or fate, following as effect from cause. The origin is from Sanskrit equivalent word meaning 'deeds, sum-of-actions'. Additionally, Karma means "the duty or work" that a person is supposed to perform which is fixed by the Allmighty. [The word is accepted in Britannica]. Karma yoga: The discipline of selfless action as a way to perfection instead of following mystic, ascetic, or other spiritual paths. Such a person is called as "Karma yogi". Karma phala: The fruit (consequence) that a persons gets (either enjoys or bears) depending on his past-Karma. Mahant is mostly used in Hinduism and literally means a chief priest of a temple or the head of a monastery. [The word is accepted in New English Oxford Dictionary]. Mantra is a combination of divine syllables or sounds which when recited invokes the latent power in that particular mantra, which involves pleasing some deities or attaining some results (used originally in Vedic sanatana dharma, Hinduism and Buddhism). The Mantras are created by spiritual Seers (Rishis and Yogis) in a divine trance. Each mantra has a rishi (spiritual seer). In Sanskrit, mantra literally means 'instrument of thought', from man (to think) verb : ‘Mananat trayate iti mantrah’ - by the Manana (constant recollection or recitation) of which one is liberated. Liberation involves your aim, i.e. what one wants to achieve by this mantra -sadhana. Each Mantra consists of a Matraa (phase) which creates a distinct sound-frequency; a Devataa (deity or God); a Bija (seed) which gives it a special power, and the Kilakam (support or pillar). Some mantras consists of only seeds (single syllables without special literal meaning) an are called Bija-mantras. [The word is accepted in New English Oxford Dictionary]. The "Peepal tree" or the "holy fig tree" is the most accepted botanical entity in the Hindu tradition. It is considered sacred by both Hindus and Buddhists and its name has been referred in the Vedas and hindu epics. The saints used to meditate sitting under this holy tree. It was only under the Peepal tree that Gautam Buddha (9th Avataar of Lord Vishnu) attained enlightenment and that particular tree was named as "Bodhi-brikhsa", the wisdom-tree. The Peepal is considered as a feminine to the masculine Banyan tree. The tree grows in most parts of India, especially on the banks of rivers and large water bodies and are abundantly found in the forests on the lower slopes of the Himalayas, Orissa as well as in central India. The Peepal-bark has light gray color and is smooth and the leaves have a distinctive shape of heart and have long and tapering tips. The tree is also used in Ayurveda (the Indian branch of medical science dealing with natural plants and products). Intense, disciplined, and regular practice or learning for spiritualism, religion, art and craft, e.g. music. Mostly it refers to intense spiritual practice to get enlightment -derived from Sanskrit sadhana 'dedication to an aim', from sadh 'bring about'. [The word is accepted in Britannica]. A person who performs sadhana is a Sadhak. Samadhi is a blissful state of intense concentration or super-consciousness achieved through Yoga (or meditation). In yoga this is also regarded as the final stage, at which union with the divine is reached, before or at the time when a sadhak reaches his final stage of leaving the body (not necessarily forever). It is derived from Sanskrit equivalent word meaning "state of contemplation". [The word is accepted in New English Oxford Dictionary]. Sannyasi (also Sanyasi; Sannyasinii for female gender): a Hindu religious mendicant or Ascetic. The origin is from Sanskrit 'sanyasin' meaning - laying aside, ascetic', from sa 'together' + ni 'down' + as 'throw'. [The word is accepted in New English Oxford Dictionary]. Another name for "Puri", Orissa, India. The holy town "Puri", situated in the East-coast of India in the state of Orissa is called as Shri-khsetra. The word "Shri" in "Sanskrit" is used to render importance, respect, and weightage to anything. The temple of Shri-Jagannath (Jagannath is a form of Lord Vishnu) is called as "Shri-Mandir", and the place (Puri) is called as "Shri-Khsetra". 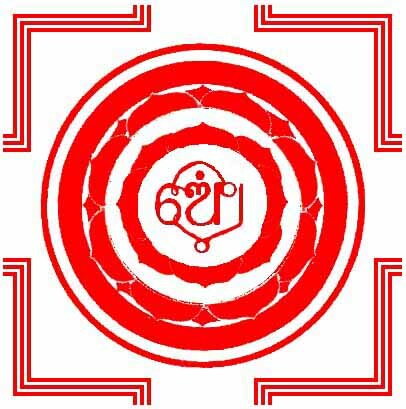 The Shunya Sadhana has no audible Mantra, unlike all other Yantra sadhanas. The picture above is of Shunyayantra. There are ten circles (approximate) representating ten solar-rings and the dot represents the Parambrahman. A Sadhak who performs shunya-sadhana is a shunya-sadhak. Siddhi literally means absolute or total understanding; enlightenment (a state of being "Buddha", also called "Siddha"). Additionally, the word is frequently (Siddhis in plural) used to mean the paranormal powers possessed by saints, mystics, mantriks, and tantriks. The origin is from Sanskrit. [The word is accepted in New English Oxford Dictionary]. 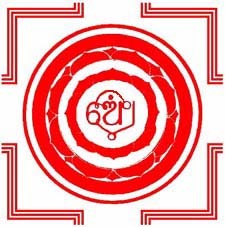 Yantra ku Mantrare Bhediba hiin Tantra (Oriya), i.e. 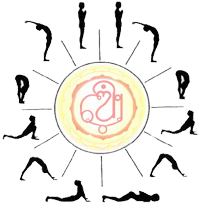 To pierce through an Yantra by applying a Mantra is Tantra. One who practises Tantra is a Tantrik (also Tantric). Tantra is infact the best way of Spiritual practice to attain Siddhis. In the times of Guru Matsyendranath, Guru Gorakhnath, Guru Viswamitra etc., tantra was a much respected and evolved science. However, with time, tantra became a Taboo, partly because of misuse-of-capabilites by certain Greedy individuals, and partly because the real knowledge was made very confined due to the fear of misuse and slowly got extinct. In recent times, the word has been associated with a variety of strange things, by people with orientation-less or poor imagination, which has nothing really to do with Tantra. Tantra is a vast Science, with many different ways, Siddhis, rituals and know-hows of six-abilites: Shanti, (peace), Vashikaran (hypnotism and control), Stambhan (paralyze someone), Vidveshana (create conflict between persons), Uchhatan (driving away), and Maarana (destroy or kill someone). It is the misuse of such capabilities that led to extinction of the divine knowledge, however, these are never the main aims of tantra. The fear of tantra-practising is unfounded. The construction of the Jagannath temple at Puri is based on the principle of Tantra. The temple is constructed in the form of Shri-Yantra and the deities are placed on Maha-Vairabh Yantra which was designed using 100000 special black stones (saalagrama). The word dates back from the 7th century (at least) or earlier and the origin is from Sanskrit (from tan 'stretch'). [The word is accepted in New English Oxford Dictionary]. 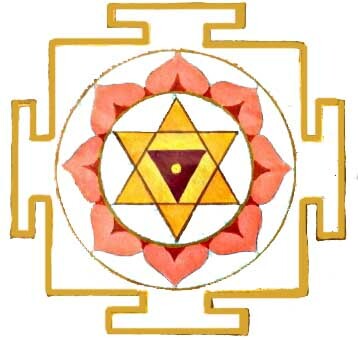 Yantra is a type geometrical diagram or object, used Tantra (tantric worship). They are made of various metals (e.g., copper, silver, gold, astadhatu - an alloy of 8 different metals - etc.) or dried leaves of a special plant (bhoja patra). -origin is from Sanskrit, literally 'device for holding or fastening'. In tantric method of spiritualism (tantric sadhana) an "Yantra" often represents the body of the deity related to that sadhana. It also literally means - A Machine. [The word is accepted in New English Oxford Dictionary]. Orissa is an eastern state belonging to the Indian sub-continent. The city of Bhubaneswar (temple city of India) is the state capital. During the medieval times, the state corresponding roughly with now-a-days Orissa passed under the various names such as: Utkala, Kalinga, and Odra (Udra) Desa. The state boundaries varied from time to time and were sometimes much larger. These land names are associated with peoples. The Okkala or Utkala, the Kalinga, and the Odra or Oddaka were mentioned in literature as tribes. Ancient Greeks knew the latter two as Kalingai and Oretes. Eventually the names got identified with the territories. The land was inhabited by semi-Hinduized tribes (shabaras) in the hinterland, a group of farming Brahmins (halua brahmuna) who practised invincible Tantra method near Jajpur area (the place of Goddess Biraja), and people of other castes and trades as well. For centuries before and after the birth of Christ, Kalinga was a formidable political power, extending from the Ganga river to the Godavari river. Approximately between the 11th and 16th centuries the name was twisted; the name Odra Desa was gradually transformed into Uddisa, Udisa, or Odisa, which in English became Orissa. The language of Odisa came to be known as Oriya. Kalinga was already famous at the dawn of Indian history. Buddhist sources refer to the rule of King Brahmadutta in Kalinga at the time of the Buddha's death. In the 4th century BC the first Indian empire builder, Mahapadma Nanda, conquered Kalinga, but the Nanda rule was short-lived. In 260 BC the Mauryan emperor Ashoka invaded Kalinga and fought one of the greatest and most bloody wars of ancient history. He then renounced war, became a Buddhist, and preached peace and non-violence in and outside India. In the 1st century BC the Kalinga emperor Kharavela conquered vast territories that collectively came to be called the Kalinga empire. Kalinga became a maritime power beginning in the 1st century AD, and its overseas activities culminated in the 8th century with the establishment of the Shailendra empire in Java. Orissa was ruled during the 8th, 9th, and 10th centuries by the powerful Bhauma-Kara dynasty and in the 10th and 11th centuries by the Soma dynasty. The Lingaraj temple at Bhubaneshwar, the greatest Shiva monument of India, was initiated by the king Yayati. Medieval Orissa enjoyed a golden age under the Ganga Dynasty. Its founder, Anantavarma Chodagangadeva (1078-1147), ruled from the Ganges to the Godavari with "Cuttack" city as the state capital. He began the construction of the temple of Jagannaatha (Lord of the Universe) at Puri. Narasimhadeva 1 (1238-64) built the Sun Temple (Surya Mandira) of Konarka, one of the finest and best creations of Hindu architecture all over the world. In the 13th and 14th centuries, when much of India was overrun by the Muslims, independent Orissa remained a citadel of Hindu religion, philosophy, art, and architecture. The "Veera Kalinga Putras" (brave sons of Kalinga) were the last to give up, till it was conquered by betraying. The Gangas were succeeded by the Surya dynasty. Its first king, Kapilendradeva (1435-66), won territories from his Muslim neighbours and greatly expanded the Orissa kingdom. His successor, Purushottamadeva, maintained these gains with difficulty. The next and the last Surya king, Prataparudradeva, became a disciple of the naamayogi avataar Chaitanya mahaprabhu, the great medieval saint, and became a pacifist. After his death (1540) Orissa's power declined, and in 1568, when King Mukundadeva was killed by his own countrymen, Orissa lost its independence to the Afghan rulers of Bengal. The Mughal emperor Akbar conquered Orissa from the Afghans in 1590-92. When the Mughal Empire fell in 1761, part of Orissa remained under the Bengal nawaabs, but the greater part was snatched by the Marathas. The Bengal sector came under British rule in 1757 after the Battle of Plassey; the Maratha sector was conquered by the British in 1803. Although after 1803 the British controlled the entire Oriya-speaking area, it continued to be administered as two units. It was not until April 1, 1936, that the British heeded calls for unification on a linguistic basis and constituted Orissa as a separate province; 26 Oriya princely states, however, remained outside the provincial administration. After the independence of India in 1947, all these princely states except Saraikela and Kharsawan (which merged with Bihar) became part of Orissa. The state can be broadly divided into four natural divisions: (1) the northern plateau, (2) the eastern ghats, (3) the central tract, and (4) the coastal plains. The northern plateau (in the northern part of the state) is an extension of the forest-covered, lightly settled, and mineral-rich Chot-Nagpur plateau centred in southern Bihar. The eastern ghats, extending roughly parallel to the coast, are remnants of a very ancient line of hills in eastern peninsular India; rising to heights of 3,600 feet (1,100 metres), the eastern ghats are forest-covered, provide a home for a variety of wildlife, and are populated by several tribal groups. The central tract comprises a series of plateaus and basins occupying the inland area west and north of the Eastern Ghats; the plateau areas provide scant resources, but several of the basins--notably the Kalahandi, Balangir, Hirakud, and Jharsuguda--have the soil and the irrigation facilities to support local agriculture. The coastal plains are formed of alluvial soils deposited by the many rivers flowing to the Bay of Bengal; locally the area is known as the Baleshwar Coastal Plain to the northeast, the Mahanadi delta in the centre, and the Chilika Plain to the southwest. The coastal plains are heavily populated, have extensive irrigation, and are devoted almost entirely to the growing of rice during the rainy season. The main rivers are the Subarnarekha, Burabalang, Baitarani, Brahmani, Mahanadi, Rushikulya, and Vamsadhara. Notable mountain ranges are the Mahendra Hill (Giri; rising to 4,924 feet [1,501 metres]), the Malaya Hill (3,894 feet [1,187 metres]), and the Megasini (3,822 feet [1,165 metres]). Orissa's Chilika Lake is the biggest saltwater lagoon in India. Kalinga is another name for the state of Orissa, but was larger in size than the modern day Orissa. Kalinga is an ancient territory of east-central India that included most of modern Orissa, part of northern Andhra Pradesh, and a portion of Madhya Pradesh. Strictly, it stretched not farther south than the Godavari River, thus excluded Vengi (the Andhra territory between Godavari river and the Krishna river). The hinterland of Kalinga led through mountainous and thickly forested country, inhabited by semi-Hinduized tribes, to central India and the Gangetic plain. With the ports of Coringa (modern day Kakinada), Vishakhapatnam, Chicacole, and Ganjam and the important towns of Rajahmundry and Vizayanagaram, Kalingans made excellent seaborne trade with Burma (now Myanmar) and areas still farther south and east. It was mentioned by the Roman writer Pliny the Elder. Kalinga was conquered by Mahapadma, the founder of the Nanda dynasty (c. 343-c. 321 BC) of Magadha. It seceded from the Magadhan empire sometime after the fall of the Nanda dynasty, but it was reconquered by the Maurya king Ashoka in the 3rd century BC in a terrible war that was said to have helped to convert him to Buddhism. Subsequently, the Soma-vanshis (who belong to Soma dynasty) of southern Kosala, who controlled the strategic town of Chakrakotta (in the former Bastar state), ruled parts of the coastal strip for a period of time, as did the Yayatis, Vishnukundins, Bhanjas, and Bhauma Karas. The eastern Gangas (pronounced as Gungu s) were the most famous rulers of all Kalinga. Their dynasty, which began its rule in the mid-11th century AD, sometimes competed with and sometimes allied itself with the Eastern Chalukyas of Vengi. In the next century Anantavarma Chodagangadeva was particularly renowned; he built the Temple of Jagannaatha at Puri. The famous temple of the sun-god at Konarak (Konaarka) was built in the 13th century by Narasimhadeva I. Between 1238 and 1305 the Gangas (pronounced as Gungus) successfully withstood Muslim infiltration from the north, but the dynasty collapsed when the sultan of Delhi penetrated Kalinga from the south in 1324. Anga is another name for some of the eastern regions of the present-day Bihar state and some parts of West Bengal. Champaa was the capital of Anga, identified with two villages of that name on the south bank of the Ganges River, east of Monghyr The city is often mentioned in early Buddhist literature as a city of importance and was one of the six great cities of northern India during Gautam Buddha's time (6th-5th century BC). It was a centre for foreign trade, and it gave its name to a kingdom later founded in Annam (now in Vietnam). Banga is another name for ancient Bengal (West Bengal). It is a historic region in the northeastern part of the Indian subcontinent, generally corresponding to the area inhabited by speakers of the Bengali language and now divided between the Indian state of West Bengal and the People's Republic of Bangladesh. 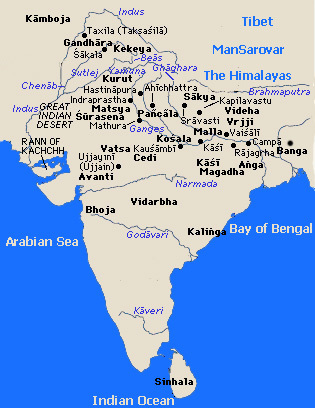 Bengal formed part of most of the early empires that controlled northern India. From the 8th to the 12th century, Bengal was under the Buddhist Pala dynasty, based in neighbouring Bihar. After about 1200 it was governed by semi-independent Muslim rulers, and from 1576 it belonged to the Mughal empire. When Mughal power declined in the 18th century, a separate dynasty emerged in Bengal, Bihar, and Orissa. Its rulers, known as the nawabs of Bengal, soon came into conflict with the British, who had established themselves at Calcutta in western Bengal (1690) and who took possession of the nawabs' realm in 1757-64. Bengal was thenceforth the base for British expansion in India. From 1773 its governor-general was the chief executive of British India; from 1834 he bore the title "governor-general of India." Assam was joined to Bengal from 1838 to 1874. In 1854 the government of India was separated from that of Bengal, though Calcutta remained India's capital until 1912. With the end of British rule in 1947, West Bengal, Bihar, and Orissa became part of the Republic of India. East Bengal went to Pakistan, but in 1971 it became the independent state of Bangladesh. Magadha is another name for the west-central part of the present-day state of Bihar. It ancient kingdom of India, Magadha was situated in now-a-days west-central Bihar, in northeastern India. It was the centre of several larger kingdoms or empires between the 6th century BC and the 8th century AD. The early importance of Magadha may be explained by its strategic position in the Ganges River valley, enabling it to control communication and trade on the river. The river further provided a link between Magadha and the rich ports in the Ganges delta. Under King Bimbisaara (~ 543 - 491 BC) of the Haryanka line, the kingdom of Anga (eastern Bihar) was added to Magadha. Kosala was annexed later. The supremacy of Magadha continued under the Nanda (4th century BC) and Mauryan (4th-2nd century BC) dynasties; under the Mauryan dynasty the empire included almost the entire subcontinent of India. The early centuries AD saw the decline of Magadha, but the rise of the Gupta dynasty in the 4th century brought it once more to a position of preeminence. Not only did these imperial dynasties begin by establishing their power in Magadha but in each case Pataliputra (adjacent to modern Patna) was the imperial capital, thus adding to the prestige of Magadha. Lively accounts of Pataliputra and Magadha are available in the 'Indica' of Megasthenes (~ 300 BC) and in travel diaries of the Chinese Buddhist pilgrims Fa-hsien and Hsüan-tsang (4th-5th and 7th centuries AD). Many sites in Magadha were sacred to Buddhism. Toward the close of the 12th century, Magadha was conquered by the Muslims.